TripAdvisor today announces the 25 hotels that have won a spot on its 10th annual Travelers’ Choice Awards lists for most outstanding hotels. The coveted No. 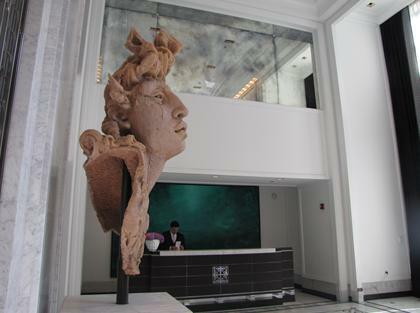 1 ranking for best U.S. hotels goes to Chicago’s Elysian, the stylish, independent hotel that opened in 2009 and has won awards and accolades ever since. It’s a bittersweet award for the Elysian since it’s one of the last, if not the last, awards it will receive as an independent property. 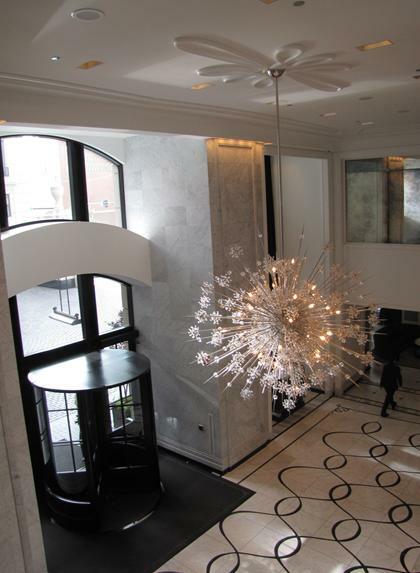 Next month, the Elysian will become part of Hilton’s Waldorf-Astoria chain. In fact, many of the winners on the Top 25 US hotels list are independent properties or part of small collections. You won’t find Marriott, Hilton, InterContinental, Starwood or any other hospitality giant on the list. There are, however, two relatively small chains that stand out on this “best hotels” list. San Francisco-based upscale boutique hotel operator Kimpton Hotels has three properties that made the list in Chicago, Portland, Ore., and Alexandria, Va.
And Toronto-based luxury hotel operator Four Seasons has two properties that made the list, both of which are resorts on Hawaiian islands. You may notice that TripAdvisor this year has expanded the Top 10 winners’ list to Top 25 to give travelers more ideas for remarkable hotel stays. The online review giant also expanded the number of categories its honoring. Travelers will find winners for hotel categories such as: Best Luxury and Bargain, Best for Service, B&Bs and Inns, All-Inclusive, Spa, and Trendiest. Unlike most hotel awards lists, TripAdvisor Travelers’ Choice winners are based on the millions of reviews and opinions written by TripAdvisor travelers around the world. The average nightly rate for 2012 Travelers’ Choice Hotels award winners is $270, although there’s no need to blow your budget. TripAdvisor says that 45% of the winners have an average nightly rate of $200 or less per night. Best Bargain in the USA: SeaCoast Inn in Hyannis, Mass. Best for Service in the USA: SeaCoast Inn in Hyannis, Mass. Best B&B and Inn in the USA: A.G. Thomson House: Historic Bed and Breakfast in Duluth, Minn.
Best Relaxation and Spa in the USA: Bella Monte Hot Springs Resort and Spa in Desert Hot Springs, Calf. 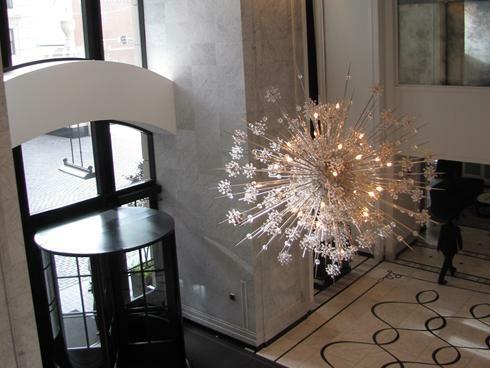 Trendiest Hotel in the World: Villa Zest Boutique Hotel in Cape Town, S.A.
4.Old Edwards Inn and Spa, Highlands, N.C.
7.French Quarter Inn, Charleston, S.C.
9.Hotel Monaco Portland – a Kimpton Hotel, Portland, Ore.
TripAdvisor's Travelers' Choice® 2011 Awards are in….and guess who made #4 in the top 25 list??? Casa Cool Beans takes 4th place in the TOP B&B and INNS in Brazil!!! We are still rated the #1 B&B in all of Rio de Janeiro as well! Many thanks to all our guests who made this possible!!! These rehearsals for the Samba Parade take place on the samba runway itself in the Sambodromo. There are a few every weekend. Go and watch them for free. You can try most grandstand sectors. It is a good opportunity to warm yourself up for the great party that will develop during the actual Samba Parade and see it all in preparation. The very last rehearsal is the most spectacular show with lights and sound system already in place for final testing. The last champions’ parade is invited to. If you think that`s all, after that rehearsal, the biggest and most traditional street band (CordÃ£o do bola preta) appears at beginning of the Venue, getting into the samba run way with a lot of traditional samba songs, called in Portuguese “marchinhas”. Go, join in, dance and live Carnival with them! On this very day, Sambodromo lives it`s most crowded moment, as people can get there and watch for free! Don`t miss it!!! Have you ever dreamed about climbing Machu Picchu at sunrise, swimming with the giant turtles of the Galapagos, or experiencing any of the other wonders that can be found ‘Only in South America’? Today LAN Airlines brings those dreams one step closer for LGBT travelers with the launch of its dedicated, new LGBT travel website. Visit LANdiversity.com and learn more about the many gay-friendly destinations throughout South America. Catch up on recent news and events of interest to LGBT travelers to South America, and read the latest articles written by LGBT travelers to the region. For a limited time, we’re also giving you a special opportunity to save $50 on your next flight purchase on LAN.com when you sign up to receive our Diversity newsletter. With frequently updated content, periodic specials, and a place to connect with other LGBT travelers, our goal is to make LANdiversity.com your one-stop source for LGBT travel to South America. Diversity is in every corner of South America. Let LAN fly you there. At LAN Airlines, we pride ourselves on the great diversity of our staff, our customers, and above all the great destinations that we serve. LAN has hubs in some of South America’s best current and emerging LGBT destinations, including Buenos Aires, Santiago and Lima. LAN also provides extensive serve to the most fascinating and exotic destinations for LGBT travelers throughout Chile, Peru, Argentina, Ecuador and the rest of South America, including: Machu Picchu, Cuzco, the Amazon(Iquitos), Iguazu Falls, Easter Island, Patagonia, the Galapagos Islands, Rio de Janeiro, São Paulo, and Bogota, to name a few. In 2009, LAN became the first Latin American airline to develop an advertising campaign specifically targeting the LGBT community. The campaign highlights the importance of diversity, and showcases the great diversity found throughout LAN’s South America.